Construction Accident Lawyers Serving Los Angeles, Riverside and San Bernardino counties for over 20 years. Construction sites are extremely dangerous. Anyone working or passing through a construction area is susceptible to serious accidents. These can result in catastrophic injuries and wrongful death. If you have been hurt or lost someone you love in a construction accident, make sure you work with an experienced lawyer who can help you obtain compensation for your injuries or losses. Construction injuries can severely limit your chances of leading a normal life because such injuries often mean that you cannot return to work whether only for a short period, long-term, or even permanently. Therefore, having an attorney who has worked on many construction injury cases can help maximize your recovery so that you can adequately cover all the medical expenses incurred because of the injury, while also compensating you for the pain and suffering, loss of earnings, and more, that comes with the injury. We can help. At the Law Offices of Eslamboly Hakim, we have more than 23 years of combined experience. We represent construction workers and others injured on construction sites throughout Los Angeles, and in San Bernardino and Riverside counties, where significant new construction projects are underway. Our construction accident lawyers have built a track record of successful verdicts and settlements for clients who have suffered construction site injuries. We are not afraid to go up against major construction companies and their insurance carriers to make sure our clients obtain the full measure of compensation to which they are entitled. Personal injury cases — For innocent bystanders who hurt while traveling through a construction site. These cases usually involve accidents on highway and roadside construction projects while the victim is driving through or near the site itself. Workers’ comp — For construction workers injured on the job. Workers’ compensation operates a little differently for construction workers, but we have a thorough understanding of the law and processes. Our attorneys can walk you through the process to make sure you obtain the compensation you deserve. Third-party liability — For construction workers injured on the job by faulty equipment or the negligence of a third party not affiliated with the employer. These look like personal injury claims, but they must name a defendant that is not the employer. We have the experience and tenacity to handle the most serious, complex litigation in these matters. Our lawyers can help you get full and fair compensation. 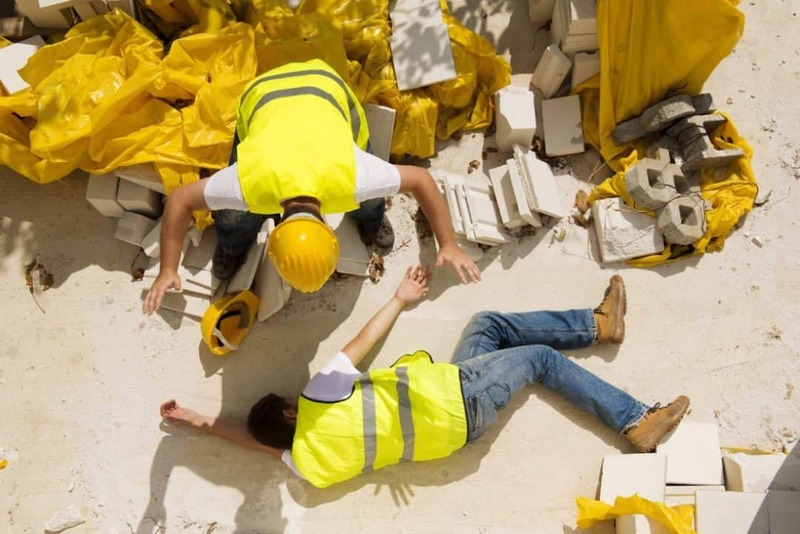 If you or a loved one was injured in a construction accident, contact a personal injury attorney to help you. Schedule a free initial consultation with a lawyer experienced in construction accidents. Contact the Law Offices of Eslamboly Hakim in Los Angeles County. Call 800-LAW-TALK (529-8255) or contact us online.